RIM has taken to its blog to confirm that the BlackBerry PlayBook OS 2.0 release date will be in February 2012. The company says that the OS has been delayed "until we are confident we have fully met the expectations" of its customers and developers, obviously keen to avoid yet another misstep after a catalogue of errors over the past months. 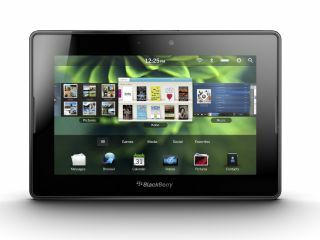 RIM has also decided that integrating BBM directly on to the tablet will have to wait until "a subsequent BlackBerry PlayBook OS release". "We are committed to developing a seamless BBM solution that fully delivers on the powerful, push based messaging capabilities recognised today by BlackBerry users around the world and we're still working on it," David Smith, senior VP of BlackBerry PlayBook, wrote in a blog post. The much-maligned QNX-running tablet has been the subject of much debate over the past few months, with many questioning the future of RIM's tablet range after the company dropped the PlayBook pricing. But RIM remains commited to the PlayBook – at least for now: "We expect to deliver the new BlackBerry PlayBook OS to customers in February 2012."